Enjoy a Marty Stuart Marathon! Spend Labor Day with RFD-TV and enjoy hours of "The Marty Stuart Show." 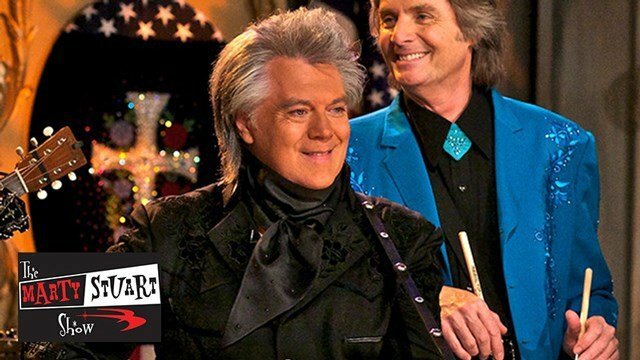 This five-hour marathon stars the incomparable, multi-talented Marty Stuart and his band, The Fabulous Superlatives, along with country music superstars like Vince Gill, Martina McBride, the Gatlin Brothers, Connie Smith, Sturgill Simpson and more. Fans will hear country and bluegrass hits and enjoy a fresh take on some favorite classics. The music starts on Labor Day (Monday, September 4) at 9:00 AM ET. Check out the schedule of guest stars below (all times are Eastern Standard).